Ladies, you’ve heard this one before: you think you know a guy, but then it turns out he has kids! What a shock! Who had a clue that Count Dracula, the ultimate bachelor, spawned a couple of rugrats? Probably no one, for I have a feeling that their appearances in 1936’s Dracula’s Daughter and 1943’s Son of Dracula occurred simply because there was money to be made. No one initially planned for these films to exist, but the concepts sounded good, so the studio went with them. Of the two flicks, Daughter definitely becomes the more successful. It tells the story of Countess Zaleska (Gloria Holden), a lovely but mysterious woman who pursues a psychiatrist named Dr. Garth (Otto Kruger). While she clearly needs therapy, he seems to be the only one to help her because Garth’s also connected to vampire hunter Dr. Van Helsing (Edward Van Sloan). Zaleska claims to be a vampire herself, but unlike her “dad”, she wants to rid herself of her terrible desires. Essentially Daughter plays as more of a moody psychological piece than one might expect, and I like the twist involved. Sure, we occasionally see vampires who fight their urges, but this one actually goes into therapy to fight her desires! The film’s best moments shows the tension between her higher aims and her baser needs. Daughter also features some of the best acting of the series, particularly from Holden in a nicely dark and tortured turn. I appreciate the manner in which Daughter assumes a certain foreknowledge with the Dracula legend as well. We see the usual transparency in front of mirrors, fear of crosses, and other elements, but the movie doesn’t dwell on repetitive exposition. Considering that some of the other Universal horror sequels - such as 1942’s The Mummy’s Tomb - devote ridiculous amounts of running time to flashbacks, I appreciate this moderate respect for the audience. However, don’t expect Daughter to be a perfect film. It suffers from choppy pacing that makes+ it often feel like a series of intriguing but somewhat unconnected moments. On their own, each of these snippets works well, but they don’t blend together terribly well. This means the picture never becomes more than moderately compelling, for the whole can’t coalesce into more than a sum of its parts. Still, it delivers an entertaining and fairly provocative piece. Dracula’s Daughter nicely furthers the vampire legend and does so in a way that doesn’t simply reiterate the events of the original film. It never becomes a classic, but it’s one of the better horror sequels. Dracula’s Daughter appears in an aspect ratio of approximately 1.37:1 on this Blu-ray Disc. Given the film’s age, this became a pretty impressive presentation. My only concern related to the possible use of digital noise reduction. Despite the fact much of Daughter takes place in dimly-lit situations, grain seemed minimal to such a degree that I couldn’t help but wonder if the transfer underwent some tinkering in that regard. That potential issue aside, Daughter looked awfully good. Sharpness usually appeared quite good, as the majority of the film showed nice clarity. Some shots occasionally came across as a bit soft, but the majority of the flick provided nice delineation. The image lacked jagged edges or shimmering, and edge haloes stayed absent. Daughter also remained blissfully free from print flaws, as no specks, marks or debris interfered with the presentation. Blacks seemed dense and deep, and contrast offered a fine silvery sheen most of the time. Shadows offered good smoothness and definition. Despite some nitpicks on my part, this wound up as an image that didn’t show its advanced age. Though not as good, the film’s DTS-HD MA monaural soundtrack seemed more than acceptable for its vintage. Dialogue could be a bit tinny and distant, but the lines lacked edginess and stayed perfectly intelligible. Music and effects also seemed fine. Neither showed great range or impact, but they appeared clear, clean and reasonably robust given the restrictions of the source. The audio lacked any issues related to source noise, so I heard no popping, clicks or hiss. For an 82-year-old mix, Daughter sounded pretty good. How did the Blu-ray compare to the DVD from 2001? Audio seemed cleaner and more robust, whereas visuals appeared tighter, more dynamic and free from the print flaws that impacted the DVD. This offered a fine upgrade. The second sequel in the “Universal Classic Monsters” series, Dracula’s Daughter comes nowhere close to the greatness displayed by Bride of Frankenstein. Still, it offers moderate entertainment, even with some choppy pacing. The Blu-ray boasts very good picture along with more than adequate audio but it lacks supplements. As Universal horror flicks go, Daughter feels middle of the road. As of fall 2018, Dracula’s Daughter can’t be purchased on its own. 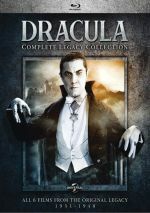 It can be found as part of a seven-film “Dracula Complete Legacy Collection”. 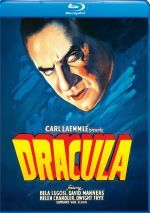 In addition to Daughter, we find Dracula, the 1931 Spanish language Dracula, Son of Dracula, House of Frankenstein, House of Dracula, and Abbott and Costello Meet Frankenstein. 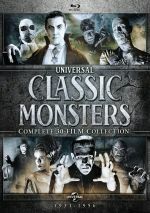 In addition, Daughter comes in the “Universal Monsters Complete 30-Film Collection”. It actually packages the Dracula set mentioned above with similar compilations for six other Universal Monsters.